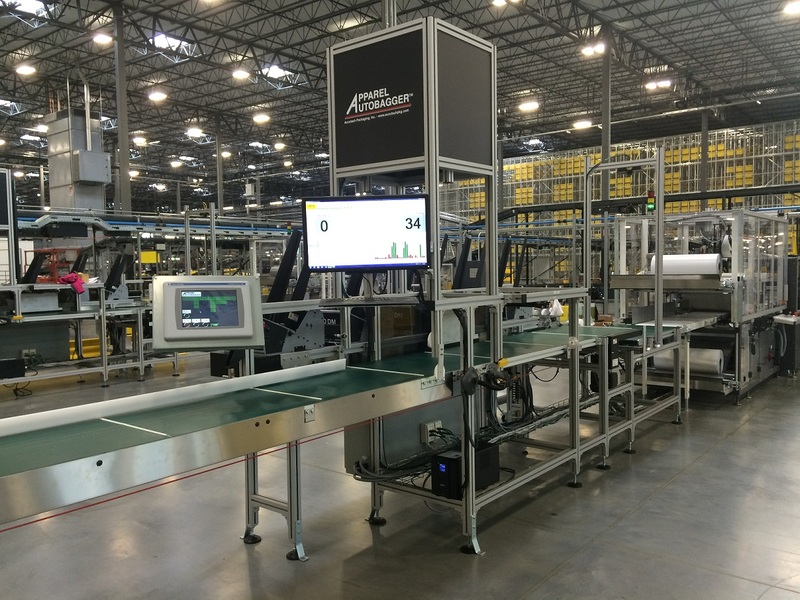 The Autofulfillment SPrint System is uniquely engineered to bring automation, speed and flexibility to fulfillment applications. The result of a design cooperative between Accutech Packaging and Automated Packaging Systems, the Autofulfillment SPrint marries state-of-the-art custom integration technology with the most reliable packaging system and material available on the market today. 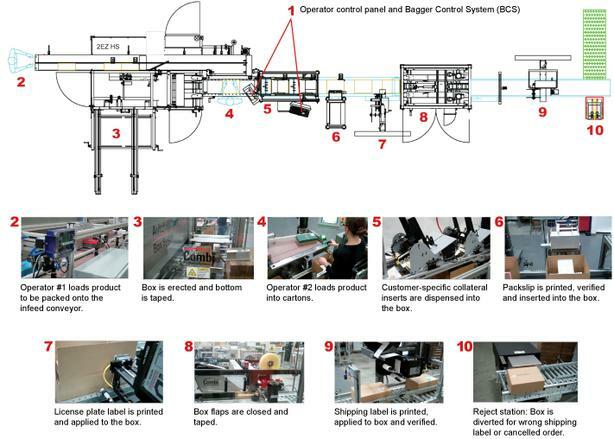 Accutech developed a dynamic automated system for processing apparel, linens and shoes. This is a fully-automated system that includes selective catalog insertion, invoice printing, label application and verification of order.